Techno-PM aims at providing quality and practical articles for project management with a focus on IT Project Management. Techno-pm team has been expanding to include new and experienced writers who can provide the required depth and breadth in a a complex IT Industry. 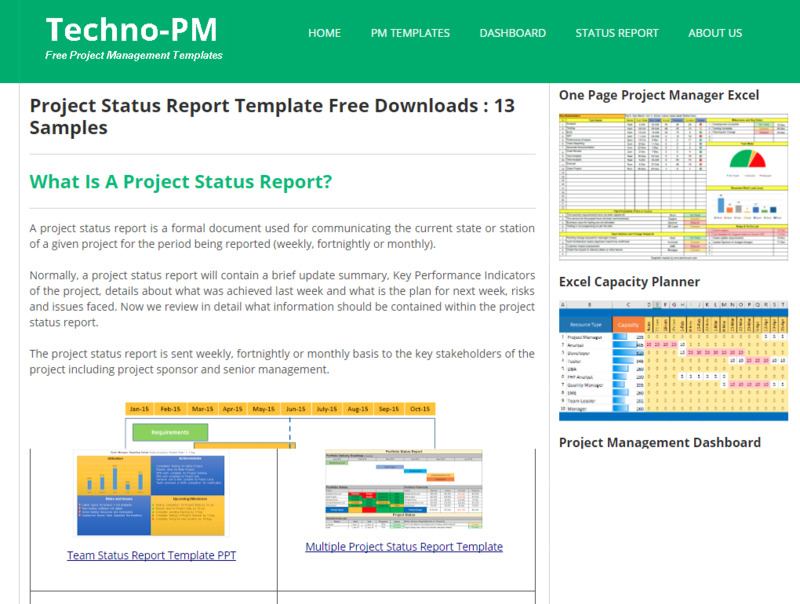 At www.techno-pm.com we thrive you to bring the best project management templates. We have a range of free project management templates which cover all the phases of project management. 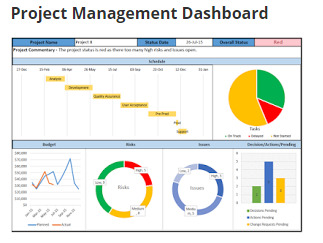 We also have a range of templates covering project management topics like resource management, capacity planning, dashboards, status report template and a set of agile templates. A project status report is a formal document used for communicating the current state or station of a given project for the period being reported (weekly, fortnightly or monthly). Normally, a project status report will contain a brief update summary, Key Performance Indicators of the project, details about what was achieved last week and what is the plan for next week, risks and issues faced. Now we review in detail what information should be contained within the project status report.